Baby Bird became hungry and cranky all of a sudden this evening so dinner needed to be made ASAP. We had a little leftover chicken, but not much else. I found some angel hair pasta in the cupboard and thought of pesto. 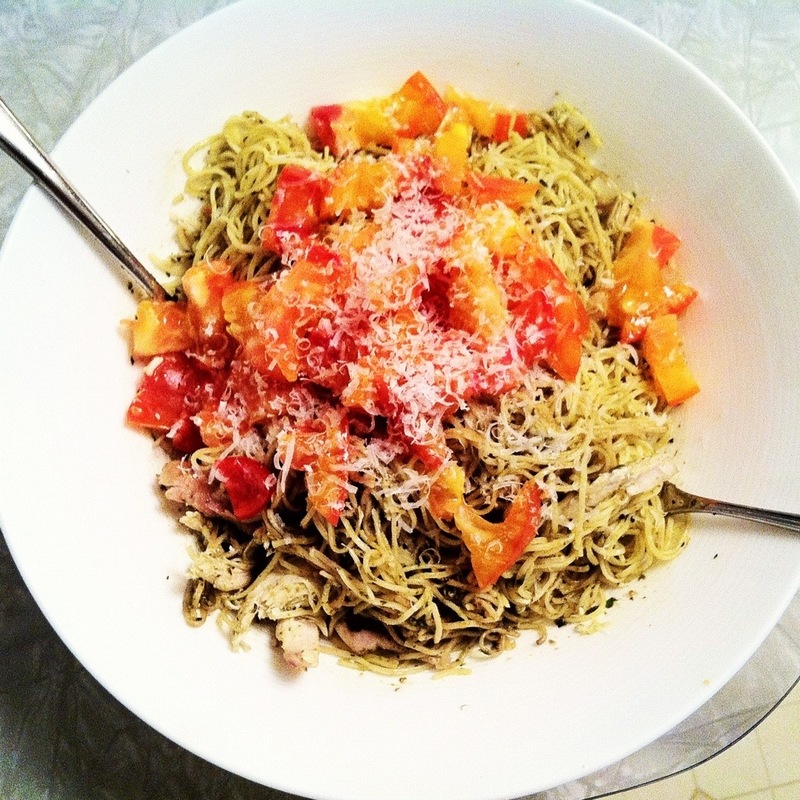 The angel hair cooks in 2 minutes, so this dinner was actually as fast as making a microwave meal! 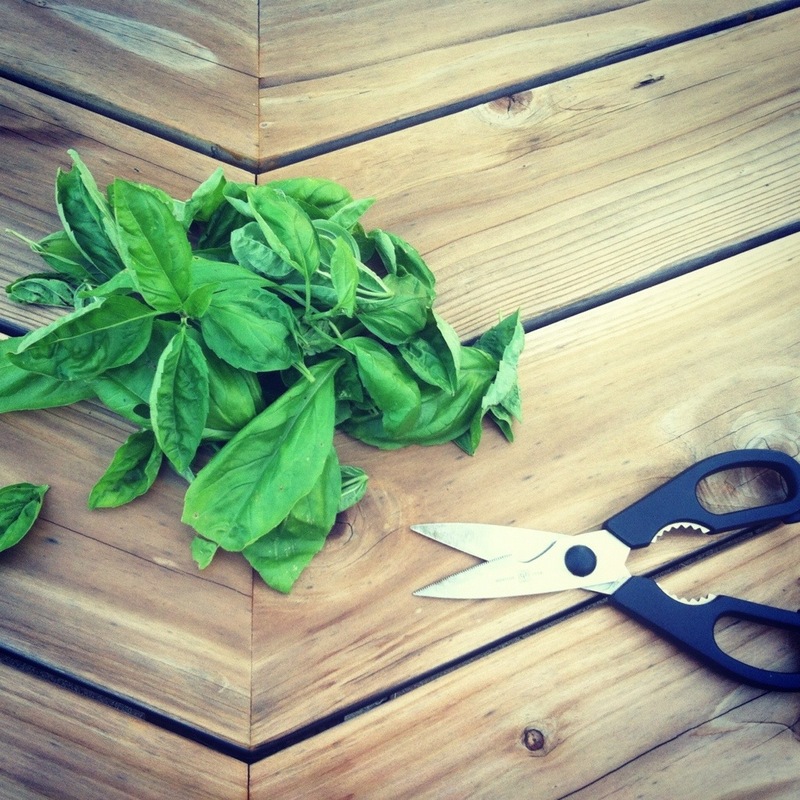 What goes better with tomatoes than basil? Nature must agree since they are both in season at the same time. I put on a pot of water and went out to the yard to pick basil and I found a ripe tomato. Our basil was a little neglected, so I trimmed off the flowers. By the time I came back in the water was boiling. Papa Bird helped cut up the tomato with his new ceramic knife. The rest just came together, perfect to have with a glass of white wine and a little of my truffled goat cheese and crackers. Cook pasta according to package directions. Rewarm chicken in a pan, covered, with a splash of water, if needed. 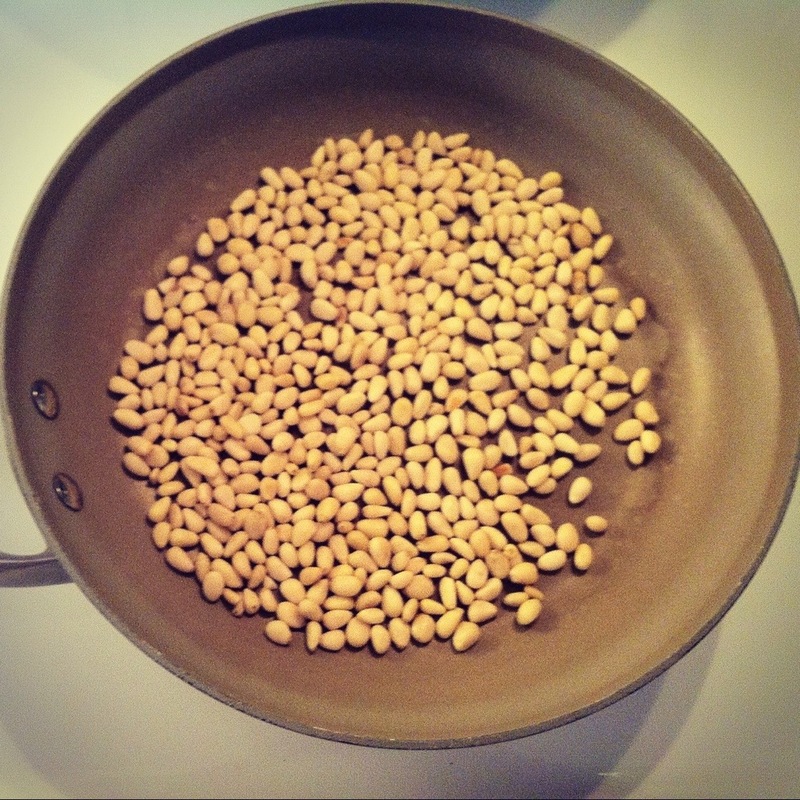 In a small dry pan on medium heat carefully toast the pine nuts. Watch them carefully as they will go from raw to burnt quickly. Add the pine nuts to a blender with the basil, oil, garlic, salt and pepper. Blend, adding oil if needed. Taste and adjust the seasoning. Nuts should never be toasted in oil, but in a dry pan. Walnuts are also traditional in pesto, but I prefer the taste with pine nuts. All nuts are expensive right now, but I’ve found that Trader Joe’s still has the best price for pine nuts. Oh! And protect your investment (~$8 for a 8 oz bag at Trader Joe’s and as much as $25-30/pound elsewhere) and store the nuts in the freezer. They will last you a long time. I had two oz. 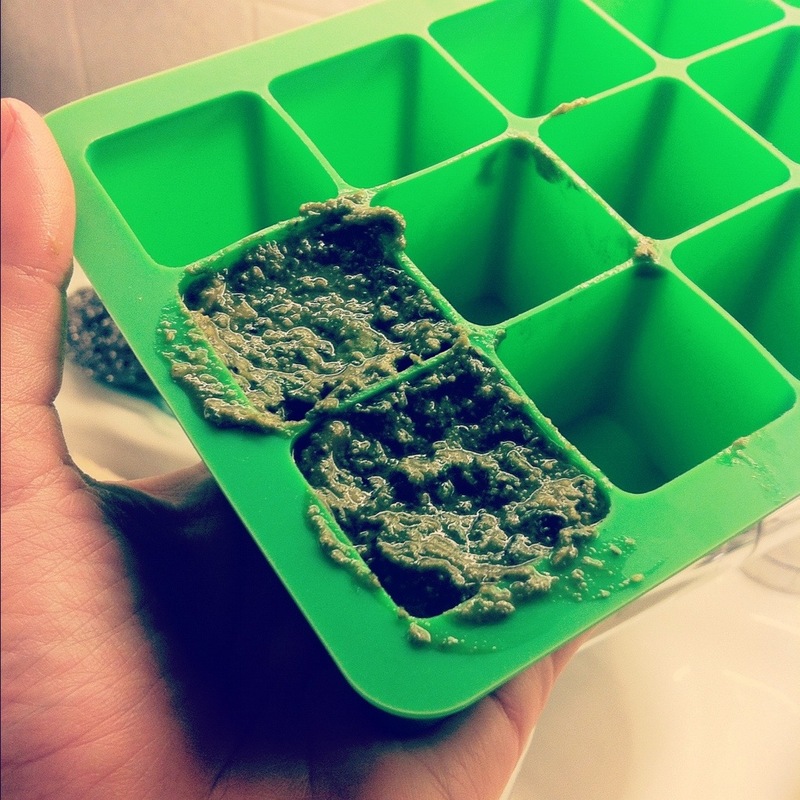 of extra pesto that I put into a silicone tray meant for freezing baby food. I figure the one oz. cubes will defrost easily sometime in the future. I’ll let you know how it works! We haven’t given her pesto yet. Baby bird at 10 months loves feeding herself thin pastas, like angel hair, or orzo. We break it up a little and put it on her tray. Tonight she had the pasta, chicken, tomatoes and avocado. Plus she stole a little goat cheese. 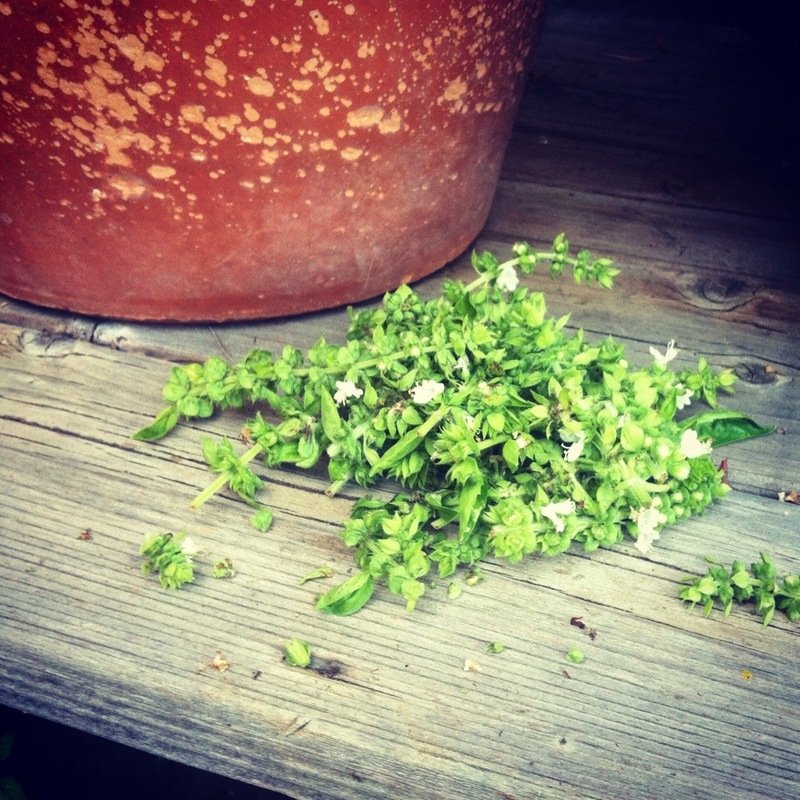 This entry was posted in Healthy Recipes, Recipes for the Whole Family, Recipes from the Garden, Urban Homesteading and tagged easy farm to table, easy seasonal recipes, farm to table, meals for the whole family, vegetarian. Bookmark the permalink. Absolutely Love it. Great photos and I enjoyed being on the adventure with your storytelling. Happy Birds. Thank you so much, Ahlea! I was struggling with the question of do I bore everyone with an intro story or just put the recipe.